There can be little question or debate that the internet has helped to shrink the world around us – has allowed us to meet, make friends, and do business with people from around the world who – without such technology would likely never have entered our lives. Combined with social media like Facebook, Twitter, and Instagram, this technology has allowed us to form entirely new groups – new communities of like minded individuals based on similar interests and beliefs in religion, politics, sport, hobbies, or even a common heritage. 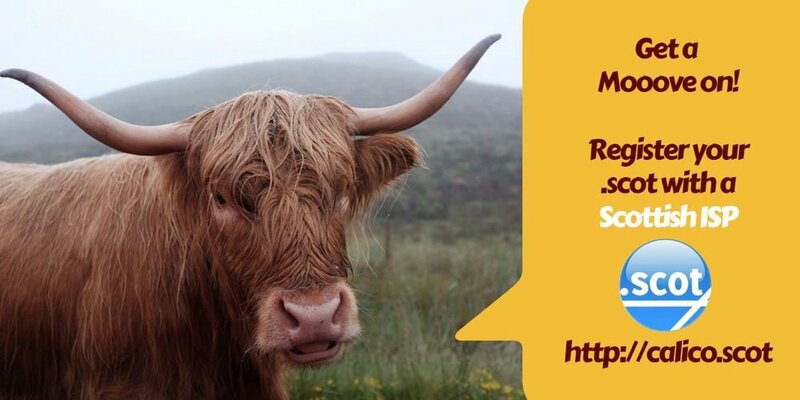 One of those new communities, born of this technology is the community of dotScot domains – online users who share a common affinity and/or connection with Scotland. If you have an online presence, either as a business or an individual, selling product or merely interacting in the social world, and you, your product, or your activities have a tie to Scotland, then a dot Scot domain may be something to consider. And why consider dotScot? It was for all of the above reasons that the dotScot domain was conceived as long ago as 2006, though because of limitations imposed by the governing Internet Corporation of Assigned Names and Numbers, dotScot was not publicly offered until 2014. In a short three years however it has grown to be the world's most successful community domain, numbering some 12,000 sites registered across 43 nations. dotScot is literally the worldwide Scottish Diaspora online community. Rolled out as, and still considered a "top tier" domain dotScot received some initial pushback from potential buyers who complained the domain was too expensive when compared with the more common ".com" or ".co.uk" domains. Director Gavin McCutcheon acknowledged this issue but told us this was due in part to the extremely high costs of launching a new domain, about $1-million - costs that of course had to be recouped. He also admitted there was some profiteering by unnamed registrars when dotScot was first offered publicly. Today though, the domain is very competitive, and celebrating its success recently announced a price cut with domains available for as little as £10 with not VAT. According to McCutcheon lowering the price was always written into the dotScot business plan, eventually to a point where price-point should not be a barrier to anyone desiring a dotScot domain. Another roll out issue was concern for those with established domains as to the impact moving to dotScot might have but now, three years on, McCutcheon says data shows such a move can have a positive impact on SEO results and the registry is well equipped to answer questions from anyone desirous of moving an existing website to a dotScot domain. 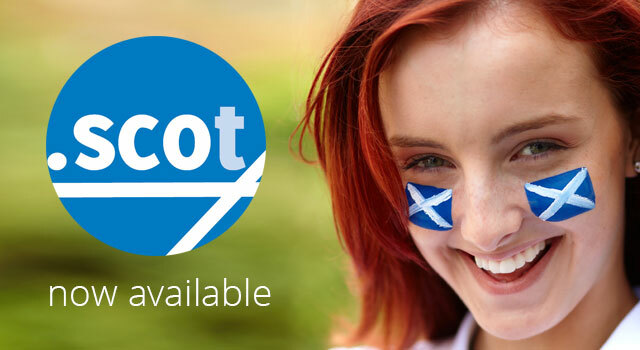 dotScot domain names can be purchased from a variety of registrars around the world. The first ISP to offer the new domain was itself a dot.Scot site, calico.scot, who continue to promote the domain. 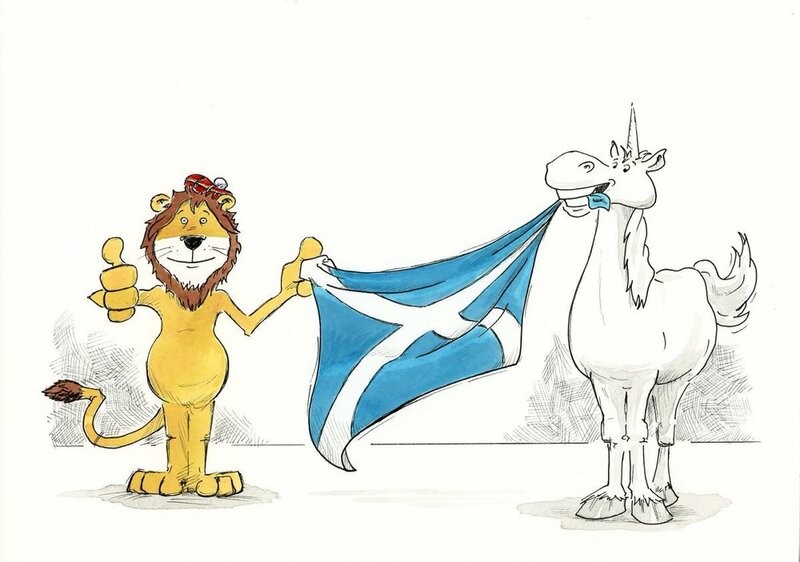 A core principle of dotScot is a recognition of the value in an affinity to a shared interest in Scotland, or a Scots heritage, an idea also clearly at the center of this marketing ad from calico.scot. Based on its own market research which revealed that the natural beauty of Scotland was another factor that drew users to create a dotScot domain, the company launched its own Instagram account creating "#OutstandingScotland." Users, or anyone for that matter, are welcome to post their photos of Scotland using the branded hashtag which dotScot then shares on its Instagram account as well as other social media platforms like Facebook and Twitter. McCutcheon is quick to point out that you don't have to be a Scottish business to find value in a dotScot domain. Like the country itself, McCutcheon says the domain is all-welcoming, anyone with a Scottish product or business, a cultural or ancestral connection, or who just happen to like the place, will be warmly welcomed into the dotScot community of users. And oh yes, the Iranian cleric who studied with McCutcheon at Glasgow Caledonian University and is a dotScot user mentioned in the audio file is non other than President Hassan Rouhani. As an affinity Scot myself, also with an ancestral heritage, I can guarantee you the welcome at dotScot is genuine, and I'm thrilled that dotScot came along at exactly the time I was envisioning this podcast. It just wouldn't be the same if it were "Under The Tartan Sky.co.uk!